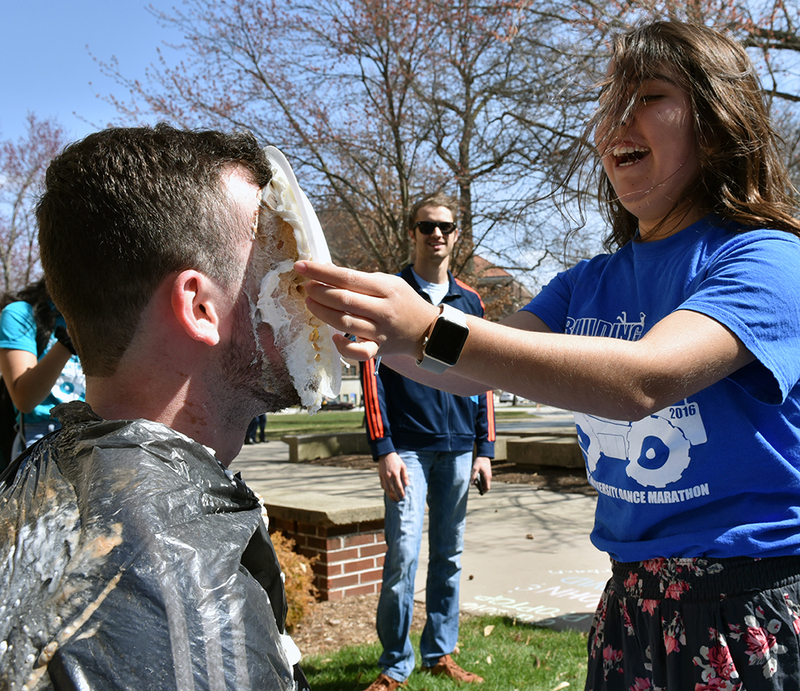 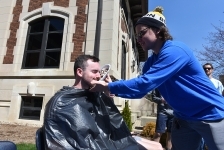 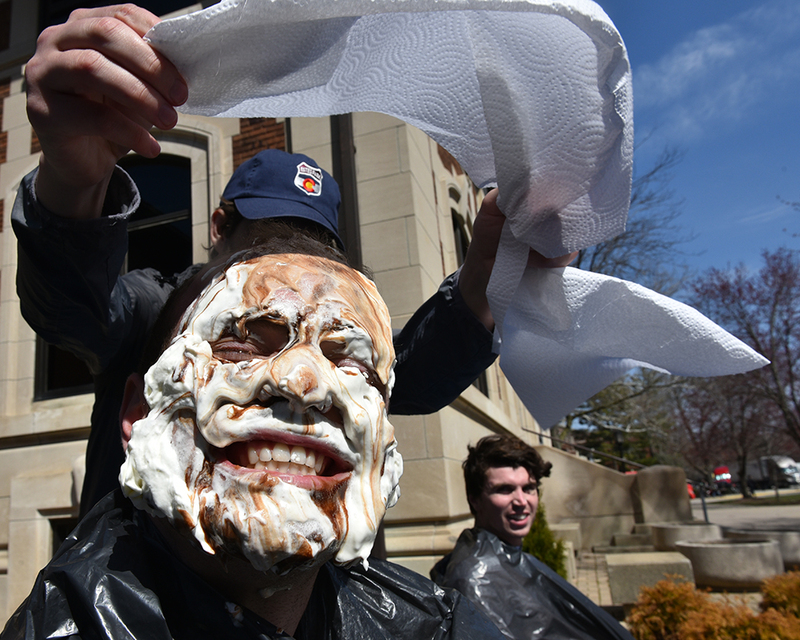 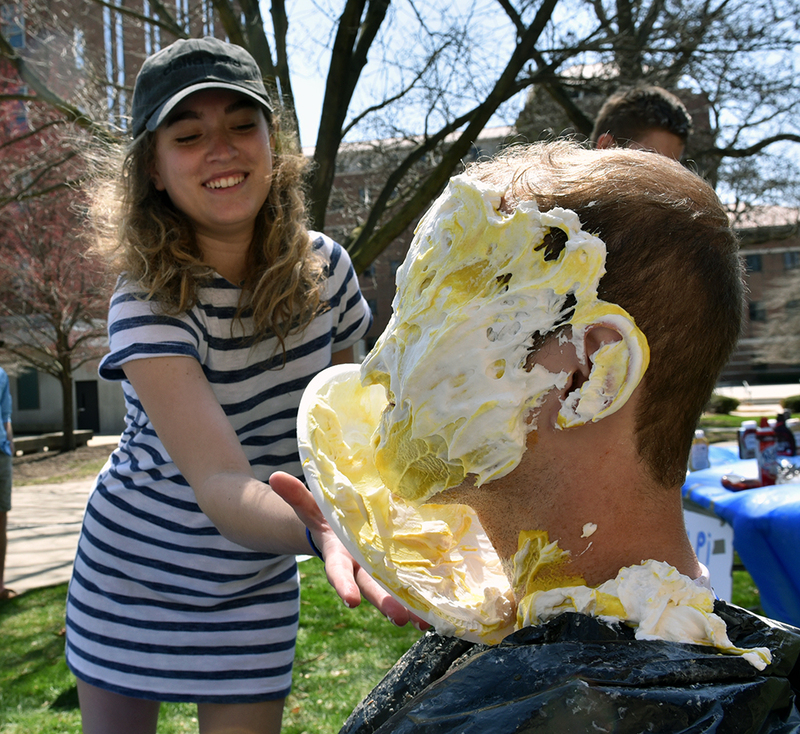 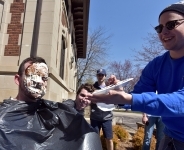 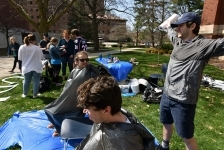 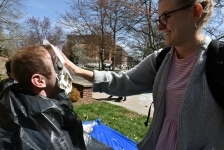 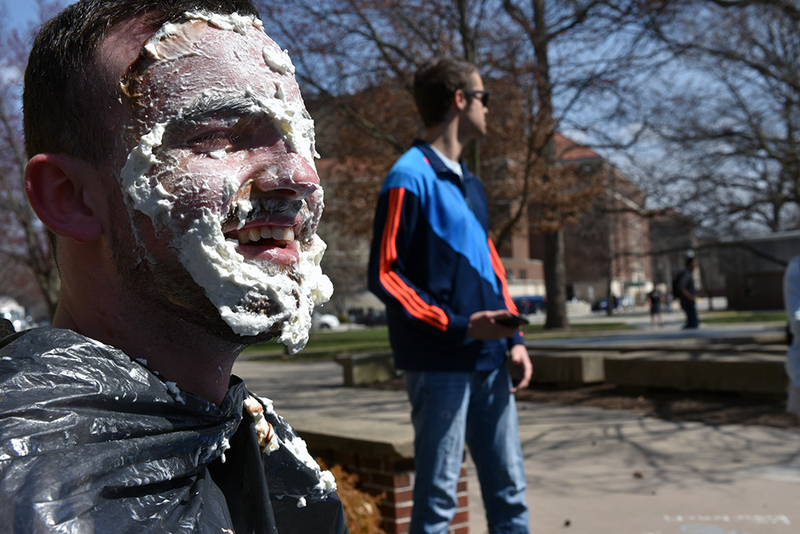 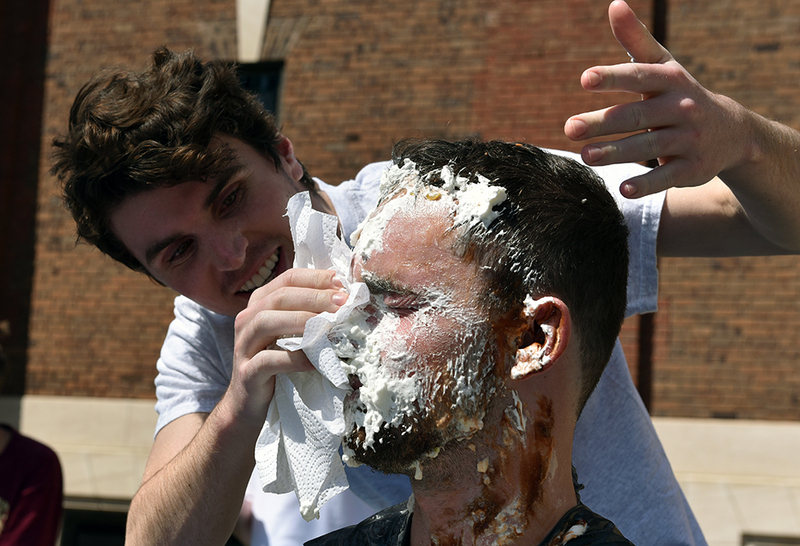 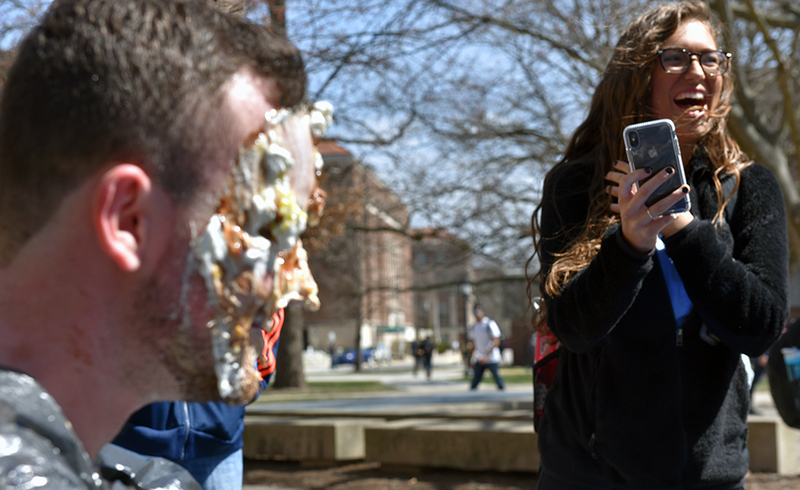 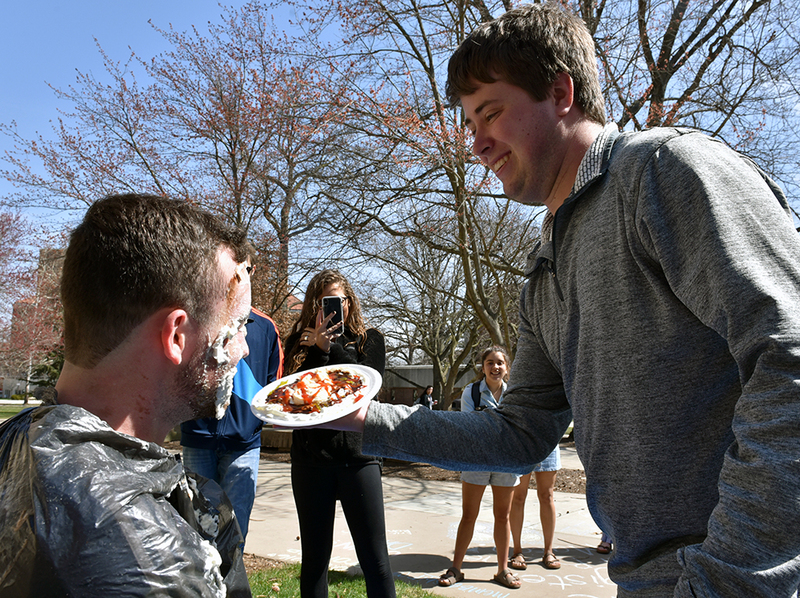 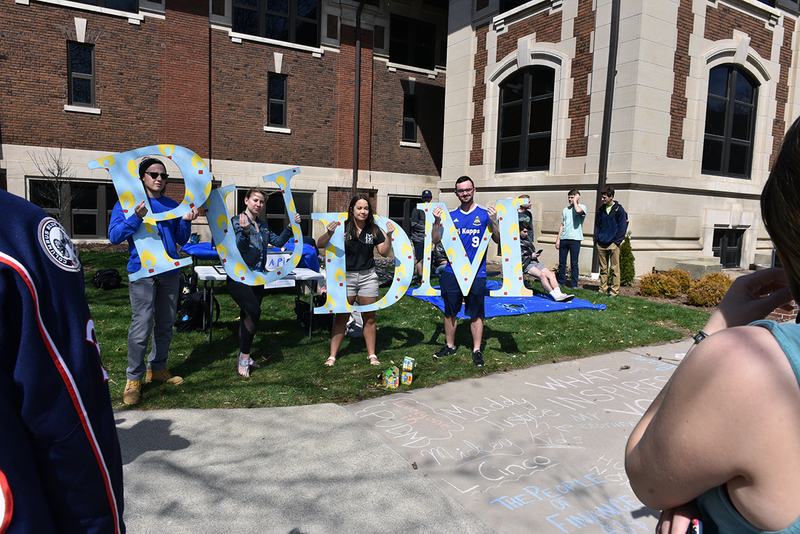 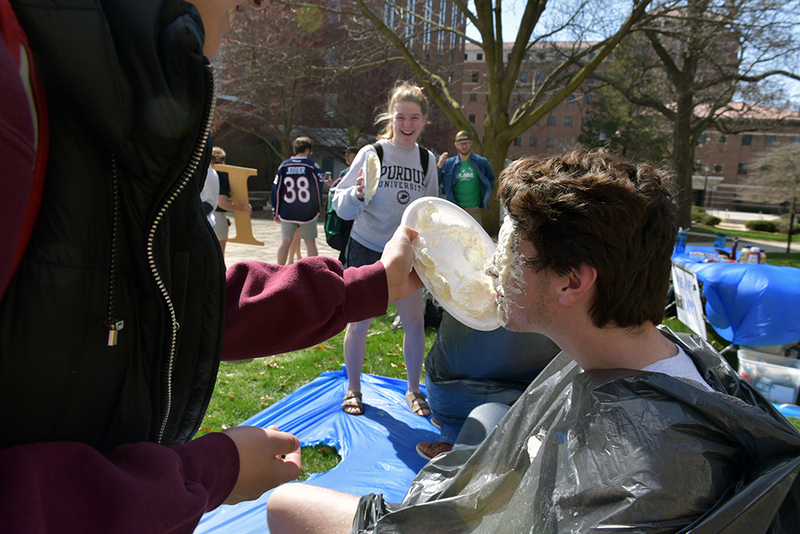 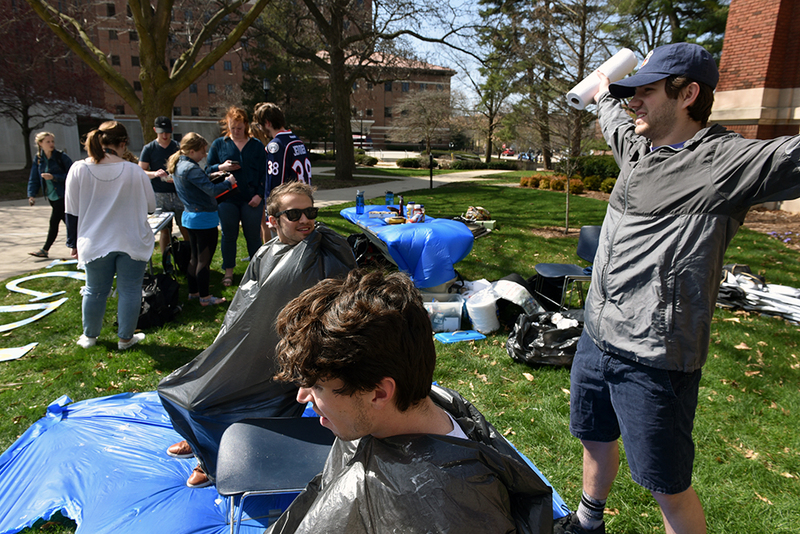 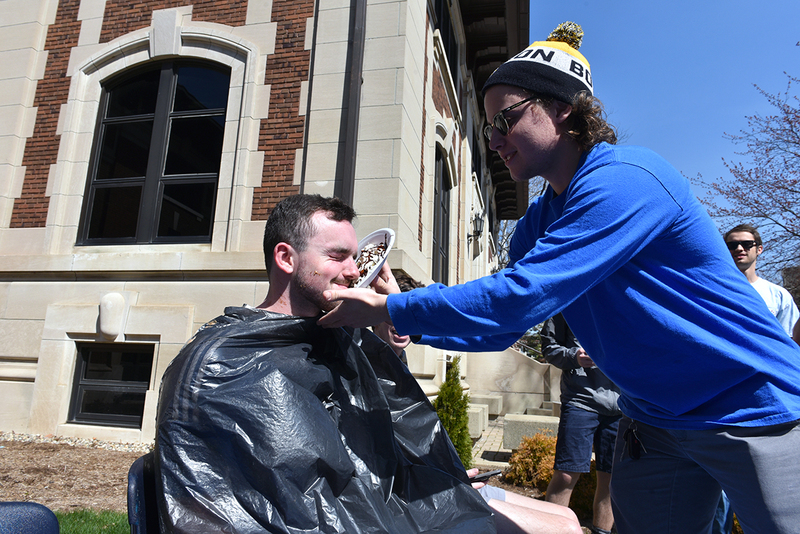 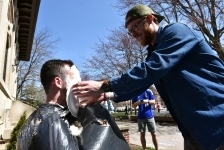 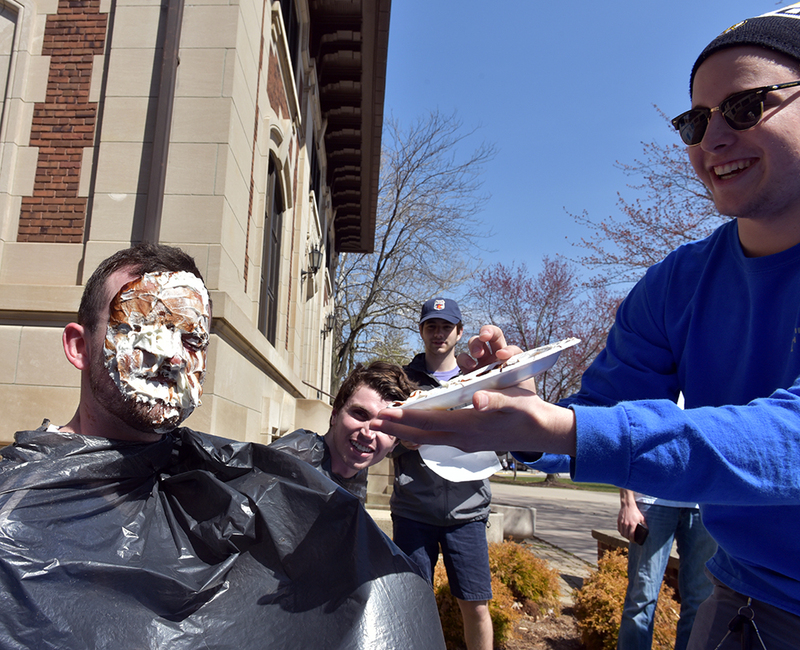 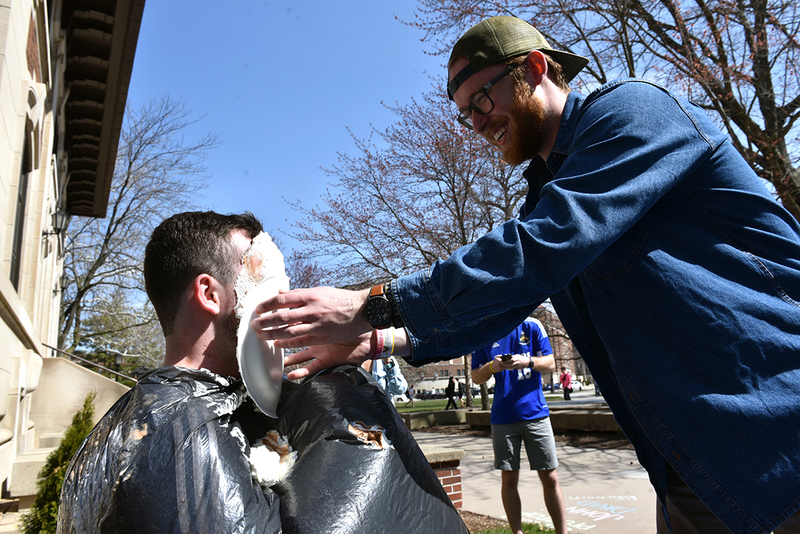 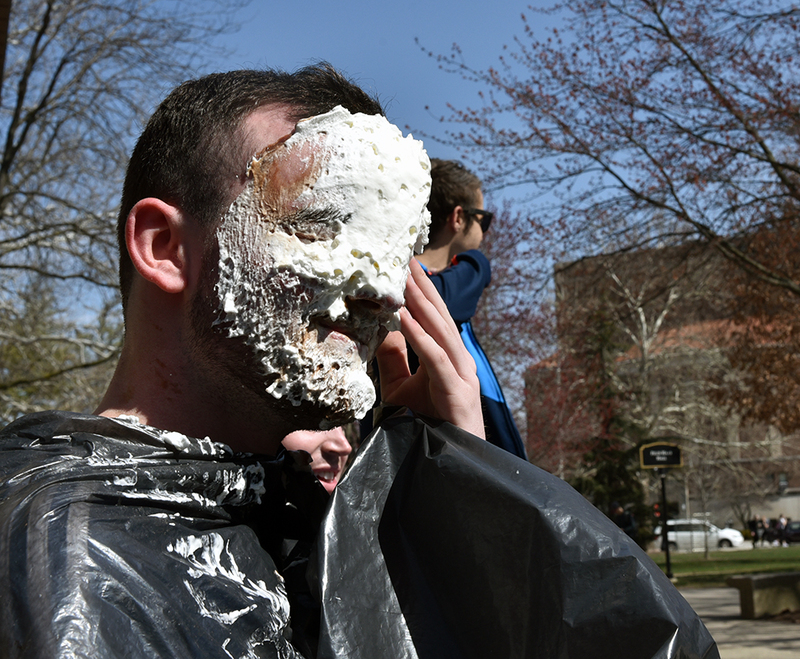 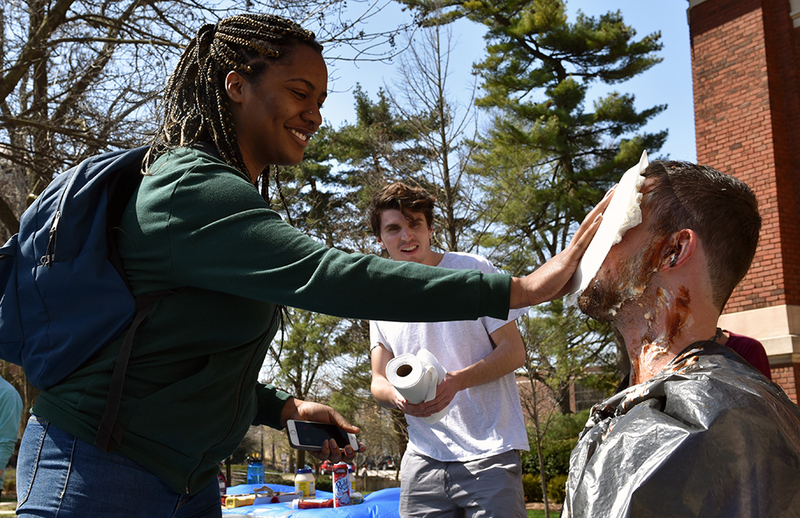 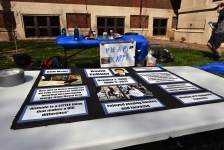 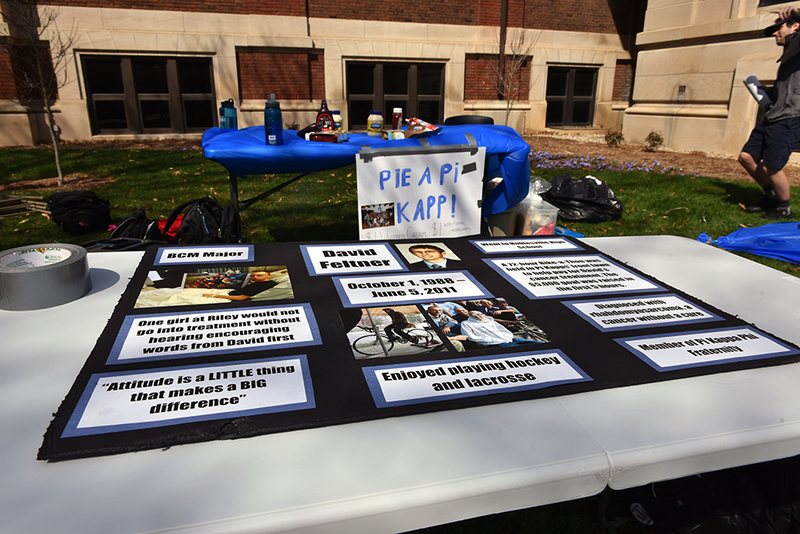 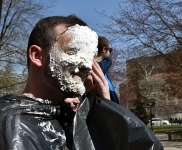 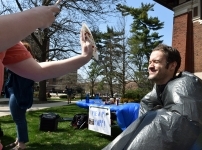 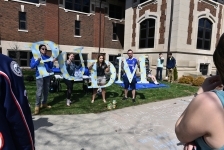 The Purdue University Dance Marathon teamed up with Pi Kappa Phi Fraternity members to “Pie a Pi Kapp” on April 12, outside Haas Hall. 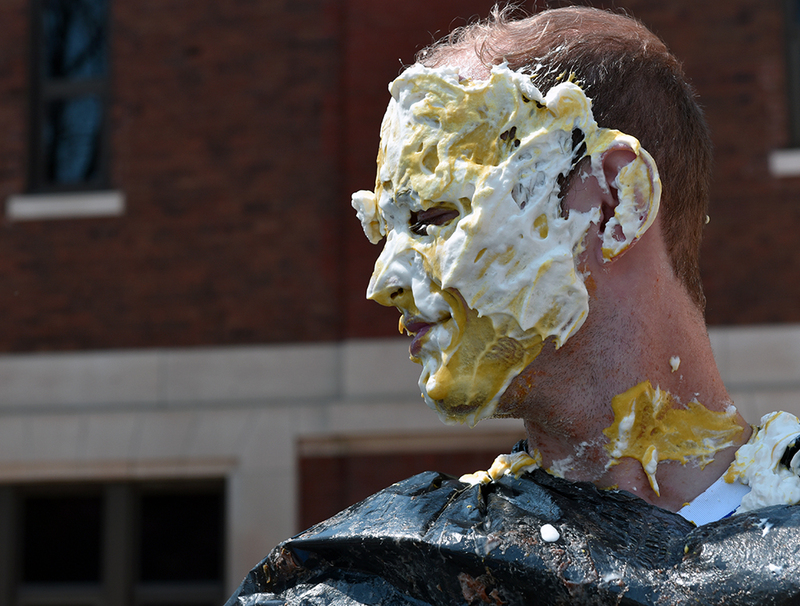 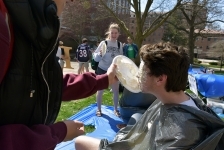 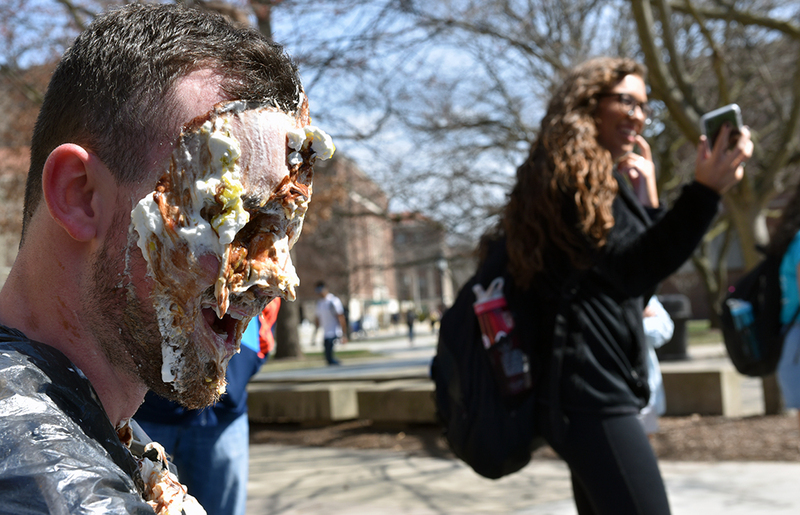 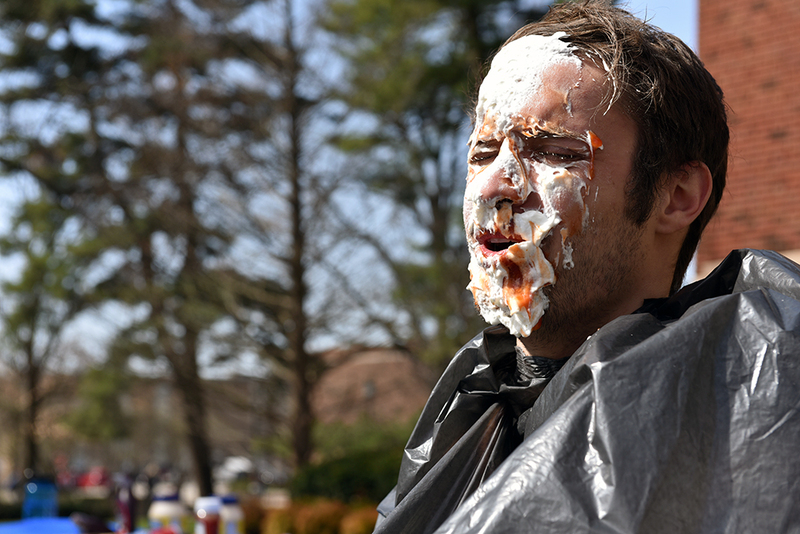 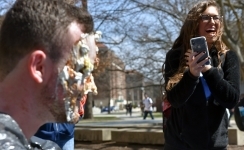 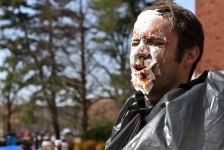 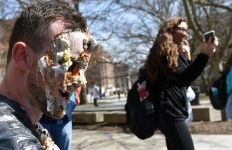 For $1 for a standard whipped cream pie, passersby could throw that plus other condiments into the face of a fraternity member. 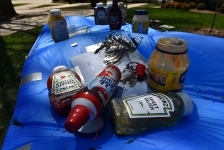 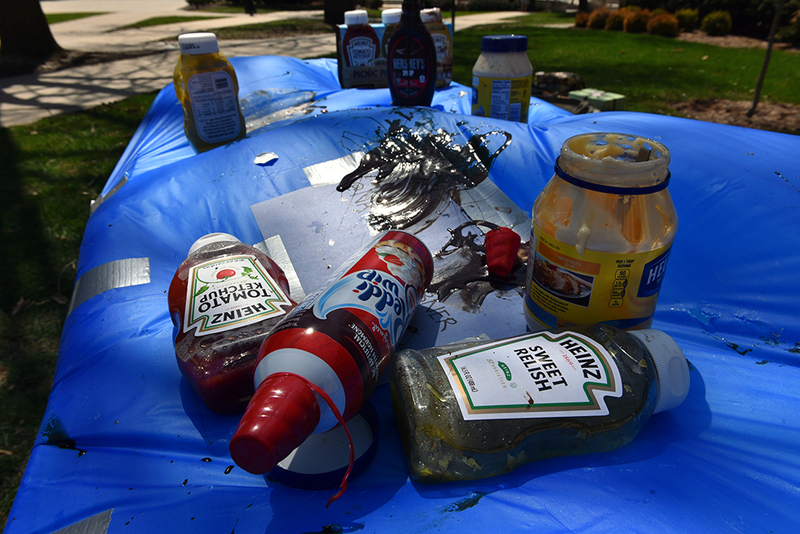 Condiment options included ketchup, mustard, chocolate sauce and mayo.